Back in January, just as President Donald Trump was taking office, there were rumors of despair coming out of the intelligence community. President Trump couldn’t be trusted, veteran CIA officials were claimed to have said, and they told the Israelis he’d soon start spilling their secrets. And now that’s exactly what happened. Yesterday, the Washington Post reported that during President Trump’s meeting with Russian foreign minister Sergey Lavrov and Russian ambassador Sergey Kislyak, Trump divulged some beyond-Top-Secret information. And worse yet, it wasn’t even America’s secret to spill. That sort of thing is crushing to the American intelligence community, as it often relies on the deep-seated trust of its allies. 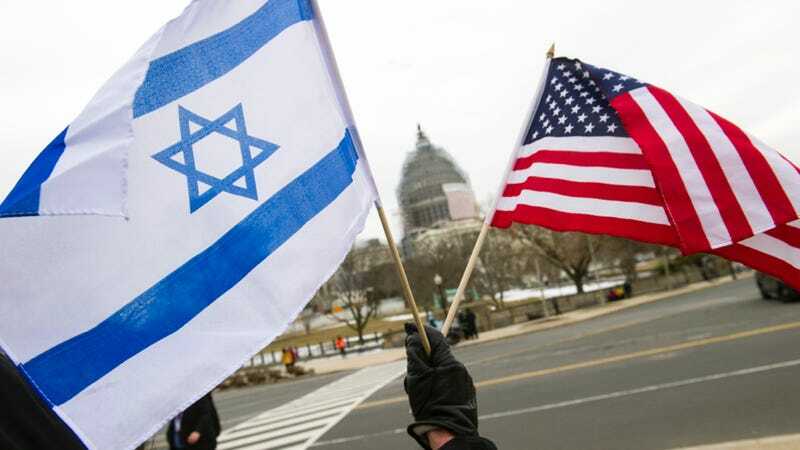 The classified intelligence that President Trump disclosed in a meeting last week with Russian officials at the White House was provided by Israel, according to a current and a former American official familiar with how the United States obtained the information. The revelation adds a potential diplomatic complication to the episode. Israeli intelligence officials are concerned that the exposure of classified information to their American counterparts in the Trump administration could lead to their being leaked to Russia and onward to Iran, investigative journalist Ronen Bergman reported in Israeli daily Yediot Ahronot on Thursday. As Russian intelligence is associated with intelligence officials in Tehran, highly classified information, such as Israel’s clandestine methods of operation and intelligence sources, could potentially reach Iran. Such information has been shared with the United States in the past. I guess it’s reassuring, in some minuscule way, that this is one disaster the vast American intelligence apparatus could see coming. Not that this makes it any better. The United States simply cannot afford to go it alone on intelligence matters, relying on information sharing from everyone to Canada on down to Saudi Arabia. If other countries can’t trust us with their secrets, then they won’t trust us with their secrets. And that’s the more terrifying implication than one little slip of the tongue.